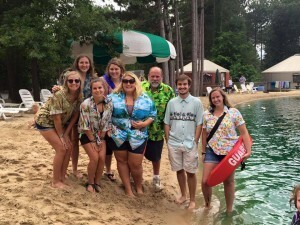 When you work at Smokey Hollow Campground it’s not just a job, you become a member of our family and share in our vision. We want children’s eyes to light up when they enter the park with their parents and see all the fun “stuff” we have to offer. We want them to regard Smokey Hollow’s customer service as exceptional. And if we do our jobs right, we provide them with a memorable family experience so they want to keep coming back. If this sounds like a team you’d like to be a part of, we invite you to consider working at Smokey Hollow. 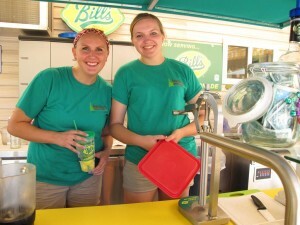 We are always looking for energetic, bright high school or college age students to work at the campground during the summer. Responsibilities are varied, but could include light housekeeping, working the concession stand, running the camp store, assisting the activities director, maintaining the grounds, or even working in the office. Interested candidates should email a completed application to [email protected]. Applicants must be at least 18 years of age and a high school graduate. For more information about our day camp program, job requirements, or how to apply, visit smokeyhollowdaycamp.com.